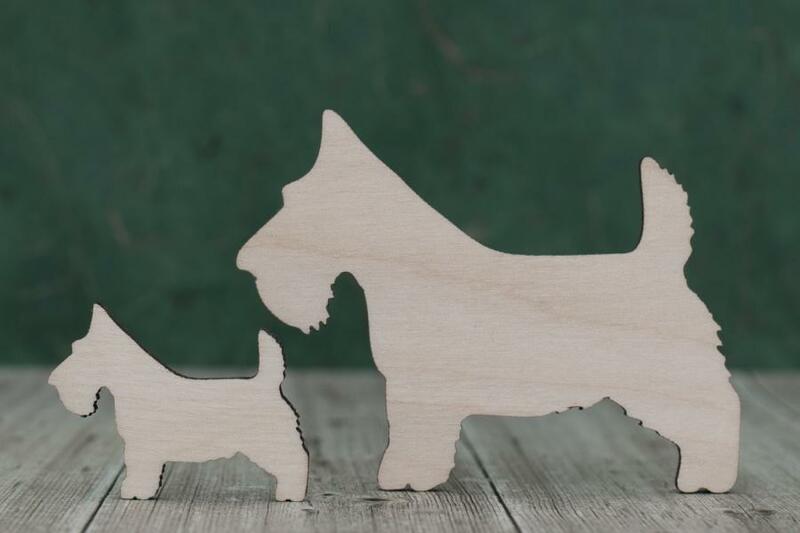 Options for Scottie dog wooden blanks. 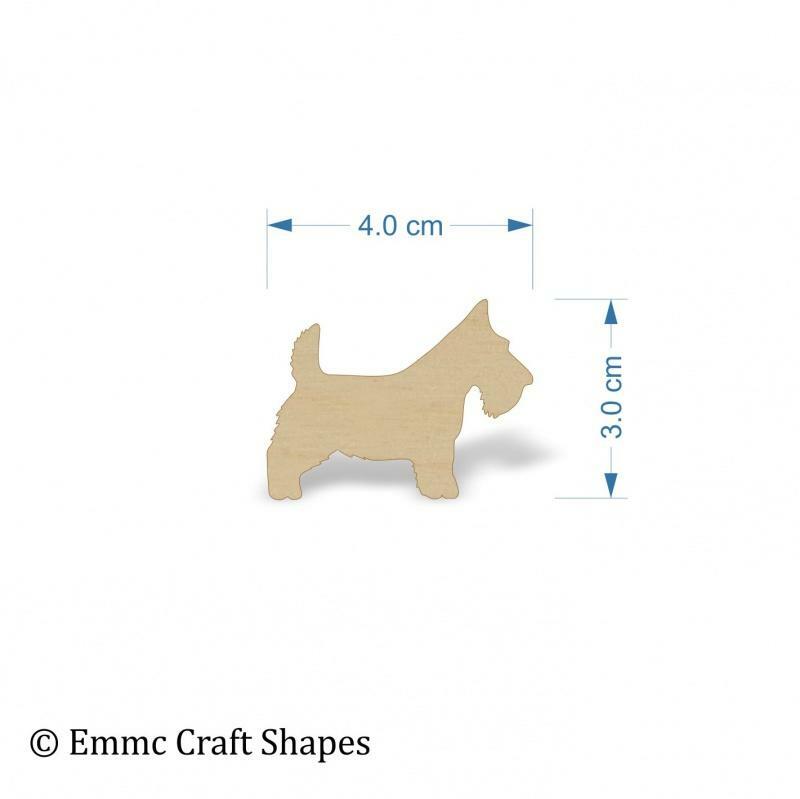 These Scottie dog shapes are ideal wooden shapes for crafting. They are laser cut from 4mm birch ply wood and we have been lightly sanded both sides ready for you to use them on your craft project. 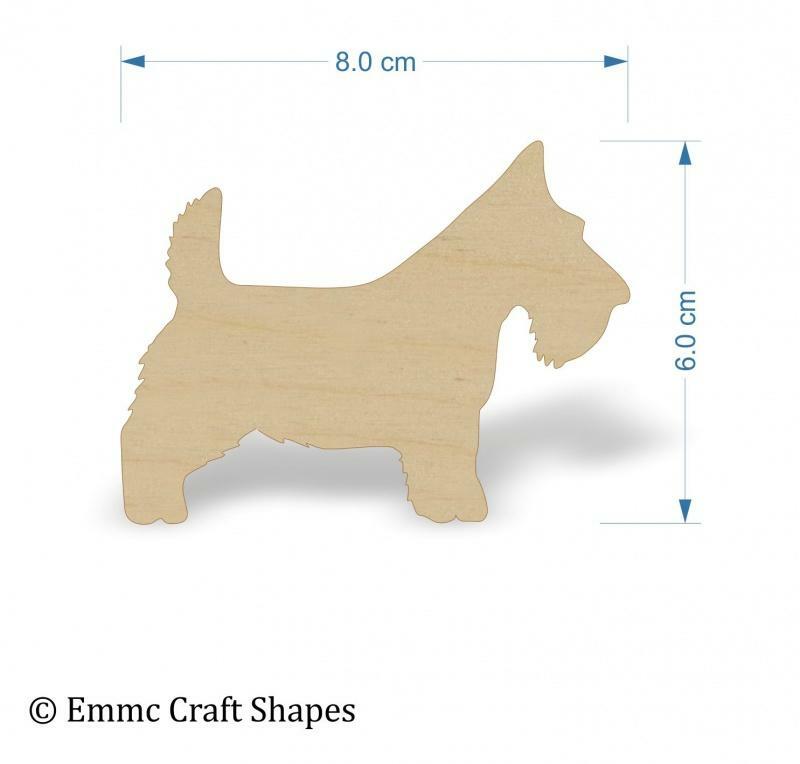 They are great for gift tags, wooden pictures, plaque making and dog lead tags.